Description: Test samples of tile adhesive for strength in the laboratory of the plant. Testing of polymer glue for ceramic tiles. 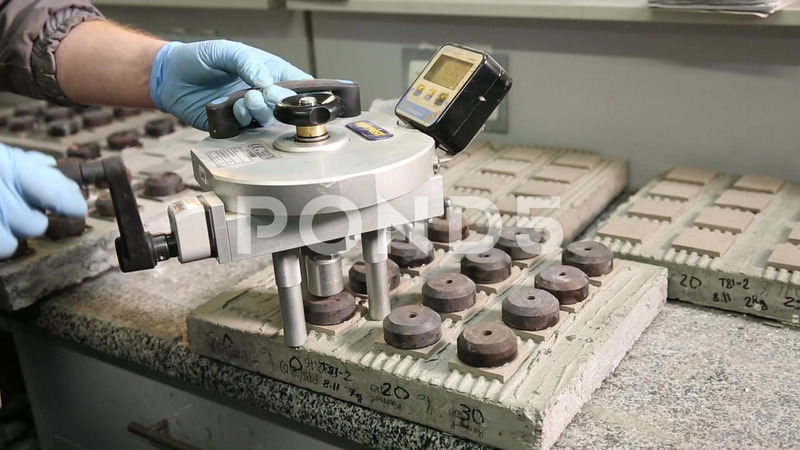 Laboratory tests in the production of cement and concrete.